Viva México! And viva IU! If members of our delegation needed more evidence that the spirit of Indiana University and of the Hoosier state is alive and well in Mexico, the final day of our two-day sprint around Mexico City delivered it in MUY GRANDE fashion. 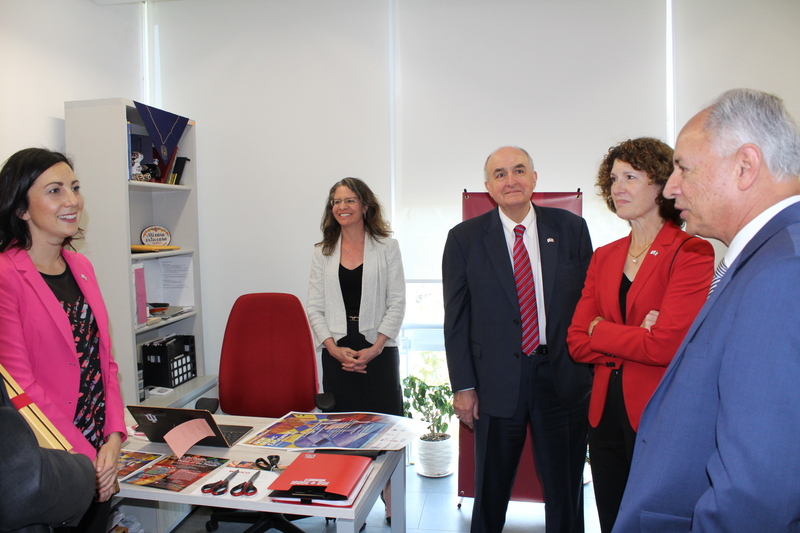 On Monday, May 28, Indiana University President Michael A. McRobbie and Dr. Francisco Trigo, vice provost for cooperation and international affairs at the National Autonomous University of Mexico, formally opened the IU Mexico Gateway office on the UNAM campus. Here south of the border, Hoosier pride glistened like the bright Mexican sun — in the faces of bright-eyed IU students seizing the opportunity to show off their musical talents in front of an enraptured international audience; faculty finding a new forum for a lifetime of superb scholarship and research and experiencing, first-hand, its impacts on a global scale; and enthusiastic alumni eager to give back and reengage with a university that set them on a path to personal and professional success. Our time in Mexico City also illuminated what also sets our state and its flagship university apart and puts us in rarefied air. Indeed, it reflected IU’s rapidly rising stature as an authentically global university, the Midwestern leader in this respect, that embraces the important role it plays in keeping our state and our nation out in front of today’s increasingly international and interconnected marketplace. Truly guiding all of our global engagement is a belief – to borrow from our legendary 11thpresident Herman B Wells – in bringing the world to Indiana and Indiana to the world. It also highlighted our renowned Hoosier hospitality, hard work, visionary spirit and practicality that – putting aside politics and the dominant headlines of the day – keeps our doors open to the best and brightest students from all around the world, as well as to successful businesses, business innovations and new entrepreneurial ideas that enhance our economic competitiveness, cultural diversity and overall quality of life. Our time here also put into perspective what we’re witnessing all across our university and the communities around Indiana that we proudly serve. As IU President Michael A. McRobbie, who led our delegation to Mexico, outlined in his newest President’s Update letter to friends and members of the university community, our mission at IU has been to fill our state’s talent pipeline with graduates whose experiences in and out of the classroom have prepared them to make a major impact for their employers and in the environments in which they’re called to serve. To this end, nearly one-third of the roughly 8,000 students who made up our graduating class in Bloomington had participated in some form of study abroad by the time they arrived at commencement. Our mission has also been to reflect our state’s increasingly diverse demographic and economic profile, which is why IU remains committed to keeping open the doors of educational opportunity to the best and brightest from every corner of the globe. Around 9,000 international students compose the fabric of our university, and they contribute unique and valuable cultural perspectives and experiences to our campuses. In doing so, they help transform IU’s living and learning environments into true training grounds for our students to become highly active, engaged and productive citizens of the world. There are more than 429,000 Latinos now living in Indiana, three-quarters of whom are of Mexican origin. They represent the fastest-growing and youngest segment of the state’s total demographic, and, not surprisingly, they have had a dramatic impact on the state’s business climate. Over a recent 10-year period, the number of Latino-owned businesses increased by almost 150 percent, from 5,482 in 2002 to well over 13,000 in 2012. Today, Mexico is our state’s second-largest trading partner, importing more than $5 billion in Hoosier-manufactured goods and products. Once again, eschewing politics and popular debates over such important issues as free trade, immigration policy and border security, it’s abundantly clear that Indiana’s connection to this large and dynamic part of the world will continue to have an effect on our economic fortunes and cultural makeup regardless of what decisions are made in Washington and elsewhere. Certainly, IU’s involvement here will continue to grow, given the new connections we made on this trip, including with members of our swelling alumni ranks, enthusiastic partner universities and government, educational policy and other organizations seeking to engage us in projects and initiatives that promise to result in exciting new educational opportunities for our students, faculty and staff and enhanced visibility for our great state. Here in Mexico, the locals will readily inform you, personal relations are everything. More than anything else that was shared the last several days, this helped explain the overwhelming enthusiasm for IU’s new gateway office in Mexico City, which is embedded within the country’s largest and most prestigious university, the National Autonomous University of Mexico, or UNAM. Indeed, it was easily evident how much our Mexican hosts valued seeing and hearing from us in person and knowing that we will have a year-round presence here through the gateway and the office’s excellent stewards, academic director Christiana Ochoa, who is also the associate dean for research and faculty affairs and professor of law at the IU Maurer School of Law, one of many schools seeking to explore greater connections with UNAM and Mexico, and office director Beth West, who will remain on the ground here after we leave and continue, under Ochoa’s guidance, exploring some of the new partnership opportunities discussed during the delegation’s brief, but productive, visit. 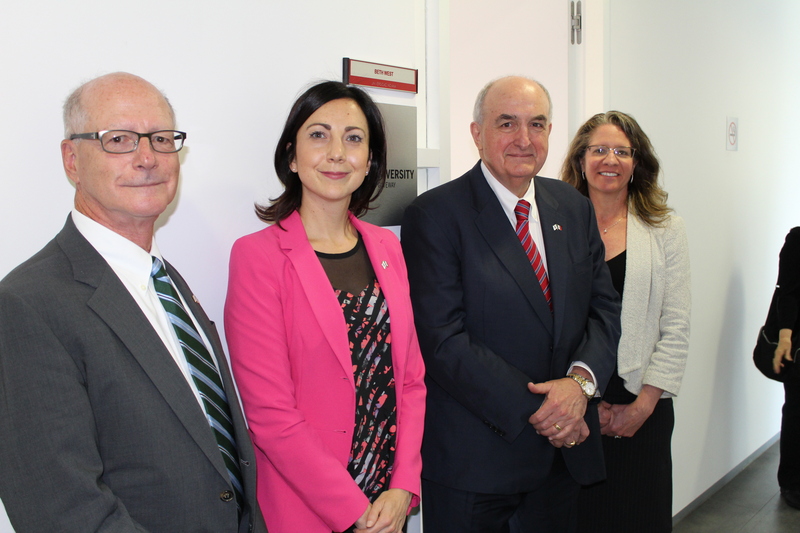 Representing the new IU Mexico Gateway office, from left to right, IU Vice President for International Affairs David Zaret; director Beth West; IU President McRobbie; and Christiana Ochoa, academic director. Of course, it’s considered universal language that personal relations are inextricable from philanthropy, which, appropriately, served as the theme of the IU delegation’s first of several successful meetings yesterday. Drawing upon insights gathered from the Women’s Philanthropy Leadership Council at IU and the Lilly Family School of Philanthropy at IUPUI, IU First Lady Laurie Burns McRobbie led a roundtable discussion on the impact of and the latest trends in women’s philanthropy, which included more than two dozen women who are leaders in business, education, finance, community engagement, information technology, communications and other important sectors of Mexican and Latin American society. For an early morning breakfast gathering, it was a most lively, interesting and engaging conversation about the differences in the U.S. and also here in Mexico between women’s and men’s motivations for giving, how women prioritize their volunteerism and investments and the impacts they’re making, and how they’re passing along philanthropic values to new generations. The meeting also provided an opportunity for First Lady McRobbie to honor one of the many distinguished women in attendance, Marcela Orvañanos de Rovzar, a highly recognized leader in Mexican philanthropy and founder of several social and humanitarian organizations in Mexico and the U.S. Those organizations include Procura, A.C., the most prestigious training institute for fundraising and institutional development in Mexico, an organization that since its creation has trained over 25,000 individuals in Latin America, the Philippines and the U.S. While President McRobbie and Christiana Ochoa met with members of the Procura board in a nearby room, IU’s first lady surprised a joyous and tearful Orvañanos with IU’s Women Leading the Way Award, an honor recently presented to the award-winning American actress Glenn Close, in recognition for her lifelong commitment to making positive contributions in philanthropic giving, ethical fundraising, female entrepreneurship, financial education and empowering others to give back. 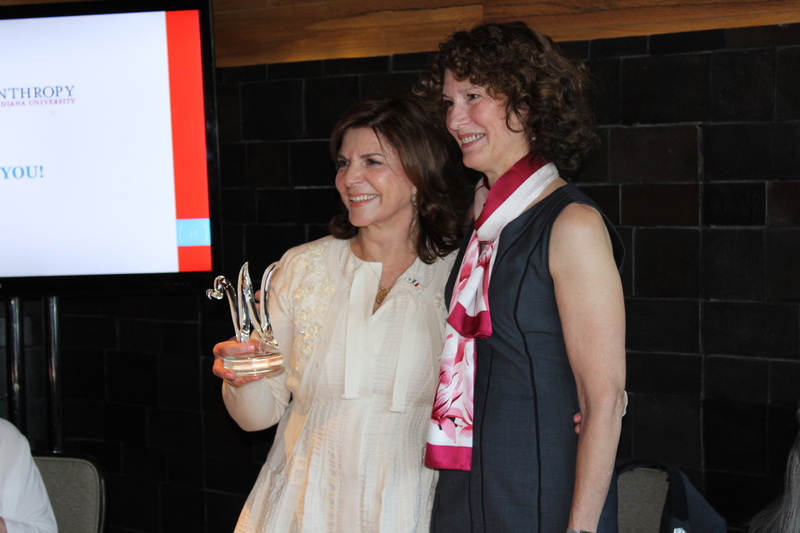 IU First Lady Laurie Burns McRobbie, right, and Marcela Orvañanos de Rovzar, who is holding her Women Leading the Way Award. Tuesday also offered time for President McRobbie, Vice President for International Affairs David Zaret, who was making his last presidential trip as IU vice president before he retires next month, and the entire IU delegation to gather important insights into the current state of U.S.-Mexican relations, especially with regard to student and faculty exchanges and other academic collaboration, and how they have been – or will be – impacted by recent developments here in Mexico, which is nearing the end of a presidential election that will culminate with a July 1 national vote. To this end, the day included an informal sit-down with senior officials at the Mexican Council on Foreign Relations, or COMEXI; an hour-long chat with the deputy chief of mission, William H. Duncan, at the U.S. Embassy in Mexico City; and a meeting with Rodolfo Tuirán Gutiérrez, Mexico’s under secretary of higher education, during which the government leader came prepared with a list of possible educational development and joint research projects, including several in the areas of effective teacher training and student preparation, that members of the IU delegation will explore in the coming weeks and months. Members of the IU delegation with deputy chief of mission, William H. Duncan, third from right, at the U.S. Embassy in Mexico City. And despite a very tight schedule, delegation members managed to find time to break off and explore their cultural surroundings. 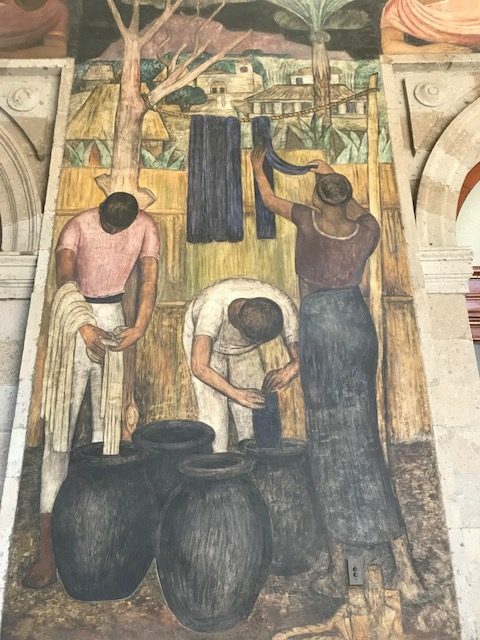 To this end, while visiting the Ministry of Education building in the historic center of Mexico City, we toured a nearly 2,000-meter stretch of murals by the Mexican mural king himself and legendary painter Diego Rivera. One of the Rivera wall frescoes, a beautiful piece representing a cloth being died a vibrant shade of blue, brought us back to our day at UNAM and to the indigo cloth artwork that President McRobbie presented the university’s rector and that was designed by IU School of Art, Architecture + Design faculty member Rowland Ricketts. Mural by legendary Mexican muralist Diego Rivera, housed at the Education Ministry in Mexico City. Still I save the best for last. As readers of past presidential trip blogs will know, one of the very top highlights of any of our overseas journeys is seeing our Hoosier students take full advantage of amazing opportunities made available to them far away from home. Having now met so many of these students, I can confidently tell you that these experiences can be life-changing. Equally gratifying is getting to know our growing ranks of graduates living and working abroad, who are, unquestionably, IU’s and Indiana’s greatest global ambassadors. Tuesday evening, billed as a grand final celebration for the new IU Mexico Gateway office and IU’s nearly two-decades-long productive partnership with UNAM, delivered on both counts. The night began on the historic UNAM campus, one of only a few campuses around the world to be designated a UNESCO World Heritage site, where the virtuoso instrumentalists who comprise IU’s New Music Ensemble, one of the standout groups housed at IU’s internationally renowned Jacobs School of Music, performed a rousing suite of songs in front of a standing-room-only and heavily Mexican audience, including members of UNAM’s acclaimed Faculty of Music. Directed by the celebrated composer David Dzubay, a professor of music composition in the Jacobs School, the 18-member ensemble gave a tight, inspiring and supremely professional performance that belied their youth. Members of the IU New Music Ensemble take a bow after their concert at the National Autonomous University of Mexico in Mexico City. The post-concert gathering was held at the Museo Nacional de las Intervenciones, or National Museum of the Interventions, a beautiful building that is located in a former monastery, which was built on top of an ancient Aztec shrine. The museum is dedicated to the military conflicts that have taken place on Mexican soil and how these have shaped the modern Mexican republic. While at the reception, the student musicians intermingled with many beaming and prideful alumni gathered for one of the largest and most exciting gateway celebrations or any other type of global occasion that I’ve had the pleasure of attending. Roughly 200 former students, friends and other acquaintances – many sporting cream and crimson and sharing stories about their years at IU – were on hand for the occasion, which featured a few fun local twists, including a traditional Mexican mariachi band that led guests from the concert to the museum. Also at that dinner as well as Tuesday evening’s reception was Peter Tattersfield, a 1985 graduate of the IU Kelley School of Business who, as the energetic president of the IU Alumni Association’s Mexico chapter, has been instrumental in the university’s engagement in the region. Tattersfield, who grew up in Mexico City, has maintained close ties with his Hoosier roots since graduating from the university and, in recent times, the one-time Little 500 rider has welcomed prospective IU students to his home, helping to ease their concerns about college in the U.S. and selling them on an IU education, two efforts he says will be positively impacted by the new IU gateway office. Tattersfield was joined in attendance by Nancy Pearson, a graduate of IU’s College of Arts and Sciences, who, after studying Spanish at IU and in Spain, eventually made Mexico her home. As vice president of IU’s Mexico alumni chapter, she has contributed countless hours to the success of IU’s engagement in Mexico. And representing the ever-increasing impact of IU’s regional campuses was Mexican-born entrepreneur Isaac Torres, who came to IU South Bend in the mid-1990s to earn an MBA and also to learn English. While in Indiana, Torres, who also has an accounting degree from UNAM, developed an idea, part of an MBA class project, to help his fellow Latinos transfer money to their families outside the country. This led him to establish, in 1999, InterCambio Express, which has since grown into a multi-million-dollar financial services company that specializes in wiring funds from Hispanic foreign nationals in the U.S. to family and friends in Mexico, Central America, South America, and the Caribbean. Based in Elkhart, Ind., InterCambio Express now has 1,600 locations in 32 states, and it employs around 250 people, with half of those employees in Mexico and half in the U.S. His oldest son, Isaac, is following in dad’s footsteps as a business student at IU Bloomington. 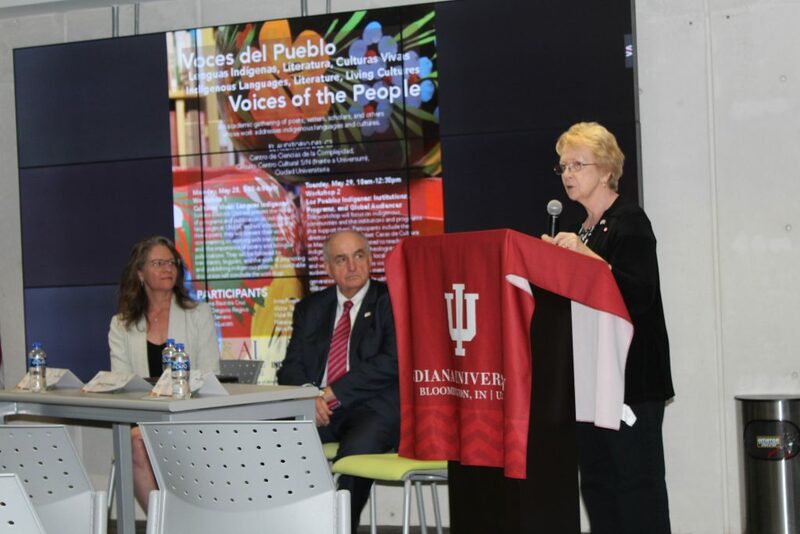 During the formal part of the event program, President McRobbie used the occasion to emphasize IU’s increasing engagement in Mexico and the surrounding region, illustrate the importance of the new gateway office as a hub for all of the university’s activities here and welcome a number of parents of current and former IU students. He also called attention to the extensiveness of IU’s ties to Mexico, explaining that IU’s first graduate from Mexico was Josephia Amada Grima, who was originally from Matamoros and was also among the very first class of five students to graduate in 1917 from the IU School of Nursing. “As I have said on many occasions, IU’s international alumni are among the most dedicated and loyal to their alma mater of any that I have encountered in my extensive travels, and this is true of our Mexican alumni. You are part of the spirit of Indiana University, and your successes are the university’s successes,” McRobbie said. Making for the evening’s most heartwarming moment, McRobbie invited up to the front of the room Luis Niño De Rivera Lajous, who, as a student at IU in the late 1960s, was a member of IU’s tradition-rich men’s swimming and diving team. Under the legendary swimming coach, Doc Counsilman, IU earned six consecutive NCAA swimming championships from 1968 to 1973. Under the equally legendary Hobie Billingsley, who was IU’s diving coach from 1959 to 1989, IU athletes won more than 100 national diving titles. Luis was among the first of those national champions. He won the U.S. National Diving Championship in the one-meter springboard event in 1967. A year later, he was elected co-captain of the team that won IU’s first NCAA swimming and diving championship. He represented Mexico in the 1964 and 1968 Olympics and in the 1967 and 1971 Pan American games. The first president of the Latin American Student Association when he was at IU, he went on to a long and distinguished career in banking and finance, holding senior management positions at a number of banks and financial institutions. 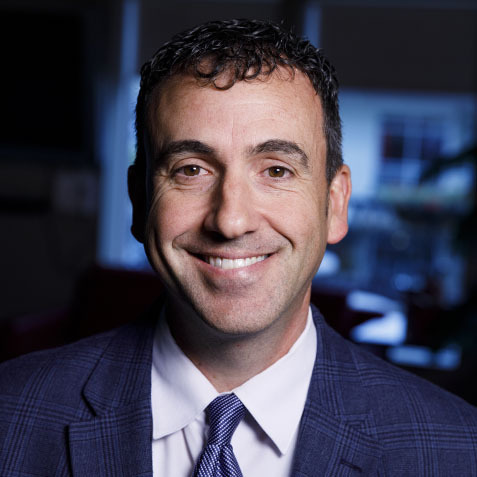 In 2002, he joined Banco Azteca, which began that same year with a mission to serve low- and middle-income customers who had been historically underserved by the traditional banking industry. Banco Azteca has since grown to become one of the largest banks in Mexico. 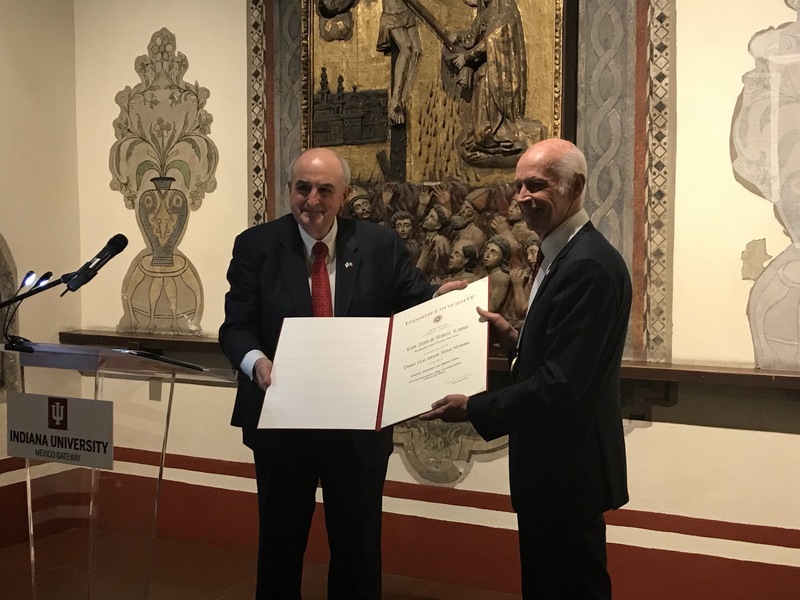 In honor of all of these accomplishments, President McRobbie presented Luis with the Thomas Hart Benton Mural Medallion, awarded to those who have provided meritorious national or international service to IU and who, in their work, have reflected the values and principles of the university. IU President Michael A. McRobbie, left, presents IU alumnus and former Olympic diver Luis Niño De Rivera Lajous with IU’s Thomas Hart Benton Mural Medallion. Following the award presentation, there was time for one final musical performance, courtesy of 2004 IU Jacobs School alumnus William Harvey, who is now the violinist and concertmaster of Mexico’s National Symphony Orchestra, the country’s important classical music and symphonic ensemble and the second-oldest symphony in the Americas. Harvey punctuated his playing with a spirited “Viva Mexico!” that elicited loud cheers from everyone in attendance. It was a fitting coda to a trip where many new and harmonious connections and lasting memories were made, where IU once let it loudly be known that the university’s impact is EVERYWHERE, and where the university, its people and the state we proudly represent made it also known that Mexico and Latin America will be an increasingly important focus of our collective internationalization efforts, as we work together to build a strong, prosperous and innovative Indiana. Hasta luego, muchas gracias and thank you for reading, and see all of you soon back home in Indiana! From nearly every perspective, Mexico City is truly a majestic place. Indeed, few cities around the globe can claim to be larger, more dynamic, or more historically or culturally important as the Ciudad de México. Historically, the CDMX is the oldest capital city in the Americas, with origins dating back to the early 14thcentury, when the Aztec capital city of Tenochtitlan was founded. Size-wise, the city is enormous. Currently, more than 9 million people live in the city proper, and more than 21 million people live in the greater CDMX urban area, making it the largest metropolis in the Western Hemisphere. It is also the largest Spanish-speaking city in the world. 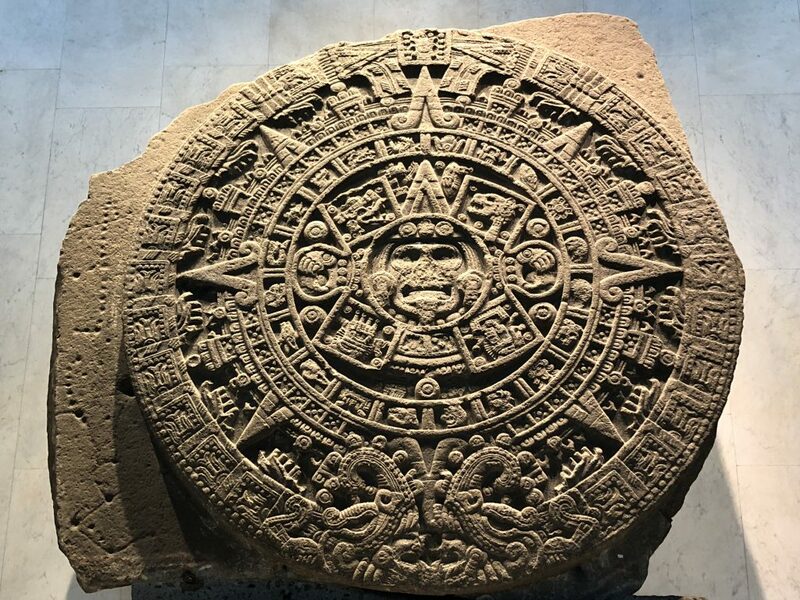 The Aztec calendar stone, a late post-classic Mexica sculpture housed in the National Anthropology Museum in Mexico City. Geographically speaking, mountains surround three sides of the city, the center of which is situated nearly a mile-and-a-half above sea level. This altitude may not be good when you’re trying to run off the half-dozen tacos and heavy flan you’ve eaten the night before (it’s possible I might be speaking from experience here), but it makes for a remarkable subtropical highland climate, where the locals tell you the temperature never gets too hot or too cold. 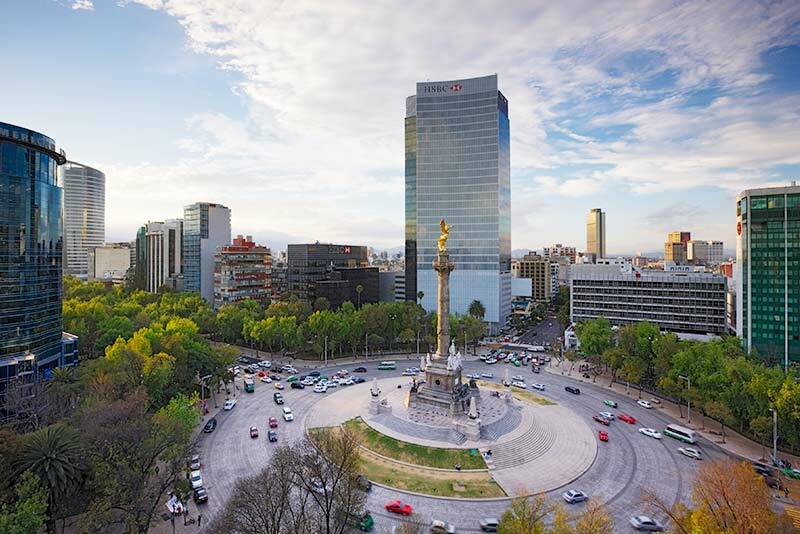 Economically, Mexico City remains the business and financial hub of all of Latin America, with a GDP of $390 billion, and if it were an independent country it would be the fifth-largest economy in the region. And culturally, the city is simply magnificent, its overall artistic expression reflecting many centuries serving as the capital of 1) the most vast and powerful Mesoamerican empire of all time, 2) the Spanish empire in the Americas and, at last, 3) the modern-day United Mexican States. Today, excited tourists flock to the city from all over the globe, seeking to experience amazing art nouveau, art deco and bohemian neighborhoods, mouth-watering cuisine, trendy dining spots, thriving nightlife and many, many museums — more museums, in fact, than any other city in the world. On Monday, the Ciudad de México served as a más perfecto setting for the newest chapter in Indiana University’s deep and expanding engagement in Latin America. The university has intensified its involvement in the region in recent years, largely in response to dramatic demographic, economic and cultural changes in Indiana. Though I outlined these shifts in the previous blog post, they bear repeating: According to IU’s Public Policy Institute, more than 429,000 Latinos live in Indiana, three-quarters of whom are of Mexican origin, and they represent the fastest-growing and youngest segment of the state’s total demographic. Not coincidentally, Hoosiers exported more than $5 billion in goods and products to Mexico, making it the state’s second-largest trading partner. Recent years have also brought a major boom in Indiana in the number of Latino-owned businesses, which increased almost 150 percent over a 10-year period, from 5,482 in 2002 to 13,639 in 2012. Indiana University President Michael A. McRobbie, third from right, joins colleagues from IU and the National Autonomous University of Mexico in surveying the newly opened IU Mexico Gateway office. These changes are increasingly being reflected in the makeup of Indiana’s flagship university, which, remarkably, has seen the number of Mexican students quadruple in the last five years alone and recently set a record with nearly 6,000 degree-seeking Latino students on its campuses across the state. The ranks of IU’s Latino alumni also continue to rise. The number is up to 10,000, including 500 Mexican alumni who, by way of recently establishing a new IU Alumni Association Mexico chapter and actively participating in other university activities, continue to demonstrate strong interest in reengaging with their alma mater. Of course, this type of growth doesn’t happen by accident — and it certainly doesn’t take place without a concerted amount of academic involvement, outreach and partnership over many years. (DYK — the first time IU’s legendary 11thpresident Herman Wells stepped foot outside of the U.S., he did so in Mexico?) Today, ties between IU and Mexico run especially deep, and the university has been eager to explore new opportunities to work with the top educational, business, government and philanthropic institutions south of the border toward facilitating increased student mobility between Indiana and Mexico, greater research collaborations involving IU faculty and enhanced cultural exchanges and dialogue. The stage was thus sufficiently set for the IU delegation’s busy day of activities Monday in Mexico City, which began, fittingly, with an early morning meeting with the National Association of Universities and Institutions of Higher Education. ANUIES, a non-governmental association representing nearly 200 Mexican public and private higher education institutions, is charged with developing programs, plans and national policies for higher education, all of which are aimed at increasing the academic quality of Mexican schools, pushing them to become more internationally focused and aligning their scholarly and research efforts toward advancing local, state and national priorities, especially those concerning grand challenges such as food, energy and water security. As Dr. Guillermo Hernández, general director of strategic partnerships at ANUIES, spoke about his organization’s mission, it was easy to envision opportunities for Hoosier students to engage in the types of meaningful internships, important institutional development projects and other educational growth opportunities here in Mexico that will help them better understand a part of the world that increasingly has had a major impact on the economic vitality of the Hoosier state, while also preparing them to succeed in today’s increasingly interconnected and international marketplace. Energized by this encouraging meeting (and, yes, a few cups of morning Mexican café), members of the IU delegation, led by President Michael A. McRobbie, headed off for Monday’s main destination — the National Autonomous University of Mexico, the largest university in Latin America, the oldest in North America and a leading university of the Spanish-speaking world. Very few universities can claim to be among the world’s foremost archaeological, cultural and historical sites themselves. UNAM is one such university. Its main campus, Ciudad Universitaria, which was designed by some of Mexico’s most renowned architects of the 20thcentury, was declared a UNESCO World Heritage site in 2007, and the campus’ breathtaking murals were painted by some of the most recognized artists in Mexican history, including Diego Rivera and David Alfaro Siqueiros. UNAM is also home to several museums, including the Museo Universidad de Arte Contemporáneo, which members of the delegation briefly toured on Monday. It was the first museum created expressly for contemporary art in Mexico and, with its large and sloping front window facade, a visually and architecturally striking facility. 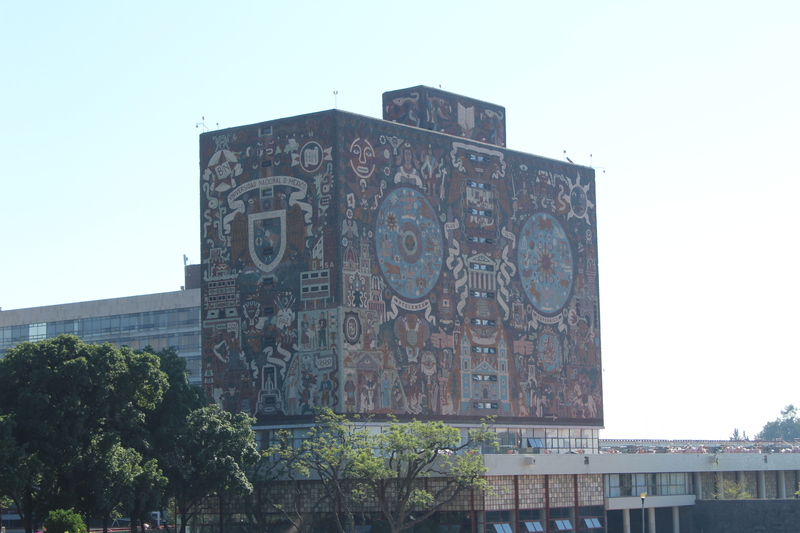 The exterior of the Central Library, the most iconic building on the UNAM campus. IU and UNAM have developed a robust partnership that dates back nearly two decades, to 1999, when collaboration began between UNAM and the Ostrom Workshop in Political Theory and Policy Analysis at IU. The workshop was co-founded in 1973 by the late Nobel Prize-winning economist and IU Distinguished Professor Elinor Ostrom. Over the years, IU and UNAM have established linkages in a wide range of academic and research areas, including in the humanities, languages, music and physics, that have often generated graduate student and faculty exchanges. 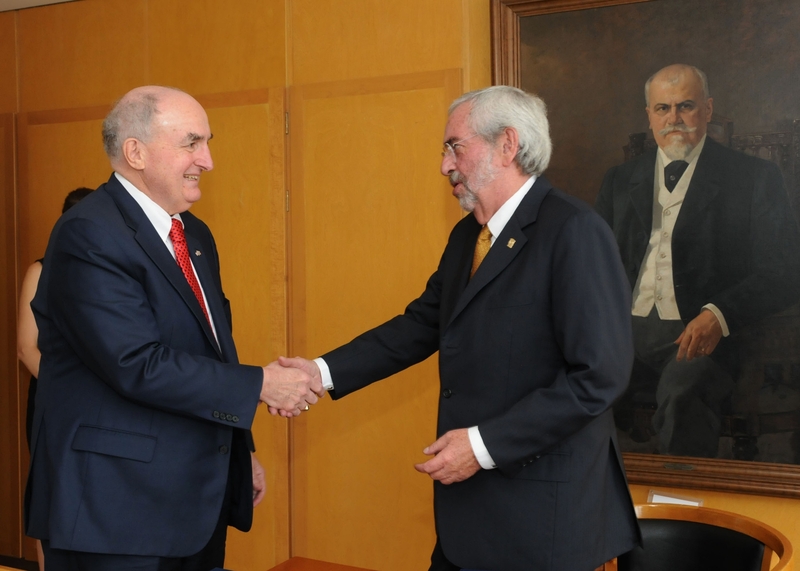 Most recently — and as outlined in an agreement President McRobbie and UNAM Rector Enrique Graue Wiechers signed during McRobbie’s last trip to Mexico in 2016 — the two institutions have been exploring mutually beneficial ways to expand upon what has been one of IU’s most active and productive global partnerships. To this end, earlier this year IUPUI Chancellor Nasser Paydar led a delegation to UNAM to discuss possibilities for student exchanges and research collaborations in such important areas as dentistry, engineering and technology, public health and nursing. Additionally, a number of school administrators and faculty members on IU’s Bloomington campus have been in conversations with their counterparts at UNAM regarding potential new collaborative activities. Today, however, was a day to celebrate the here and now and, most notably, another major milestone in IU’s international engagement effort – the formal opening of the IU Mexico Gateway office, located within UNAM’s International Unit of Foreign Universities building. The new facility, IU’s fourth international office after those established in New Delhi, Beijing and Berlin, provides IU with a physical presence in Mexico as well as a point of access to other countries in this key strategic part of the world. More specifically, it will deliver support for teaching and research, conferences and workshops, study abroad opportunities and engagement with IU alumni, businesses, new and potential students, and nongovernmental organizations. On Monday, upon arriving at UNAM, President McRobbie, Vice President for International Affairs David Zaret and their fellow IU delegation members met in the office of UNAM Rector Graue. Prior to the meeting, McRobbie presented his Mexican counterpart with a special gift — a stunning Japanese indigo-dyed cloth designed by Rowland Ricketts, a textiles professor in IU’s School of Art, Architecture + Design — in recognition of the rector’s and UNAM’s support for IU’s efforts in Mexico, including support for the new office, which is off to a flying start. 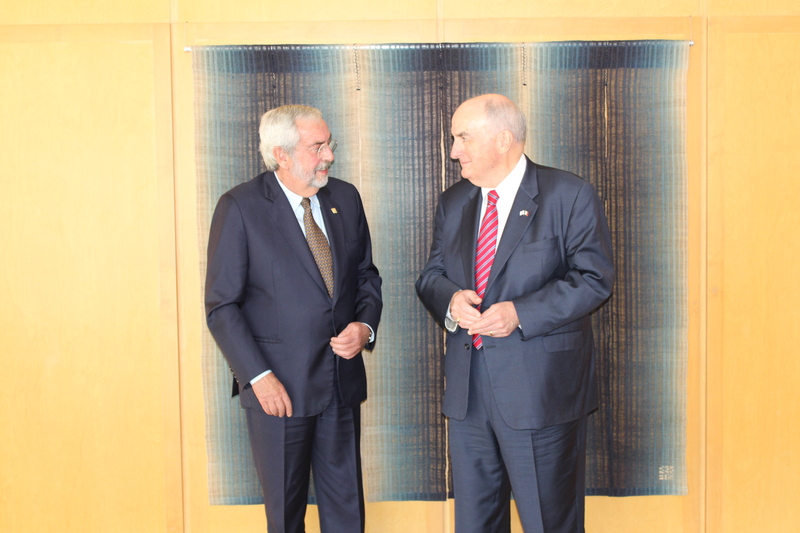 IU President McRobbie, left, and UNAM Rector Enrique Graue Wiechers talk in front of a Japanese indigo-dyed cloth designed by IU textiles professor Rowland Ricketts. McRobbie gave Rector Graue the cloth as a gift in recognition of the rector’s and UNAM’s support for IU’s efforts in Mexico. Christina Ochoa, associate dean for research and faculty affairs and professor of law at the IU Maurer School of Law who is also the academic director of the IU Mexico Gateway, explained that the office has already planned six academic workshops between now and next February, including two workshops for late fall that are connected to a President’s International Research Award that will support collaborative research between IU and UNAM faculty in indigenous languages. McRobbie established the President’s International Research Awards at IU in 2016 to support high-impact research projects that involve collaboration with IU’s partners and colleagues abroad and that engage one or more of IU’s global gateway offices and the communities they serve. 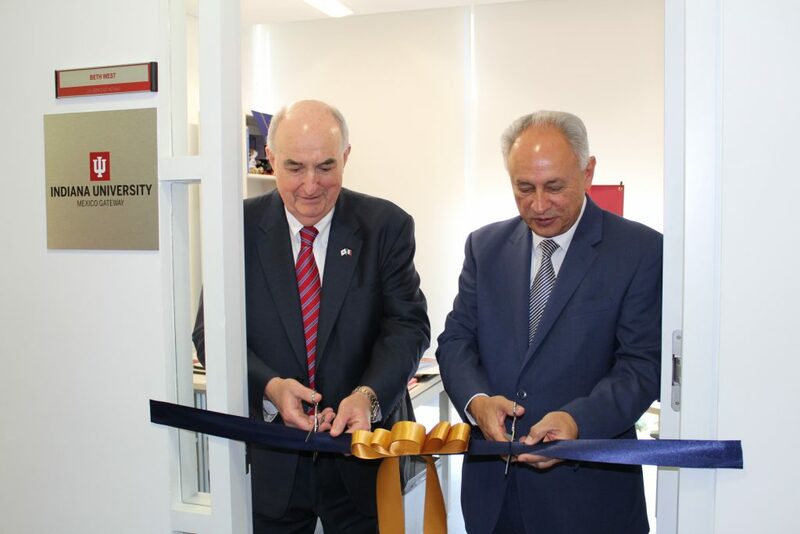 IU President McRobbie and Dr. Francisco Trigo, UNAM vice provost for cooperation and international affairs, cut the ribbon, officially opening the IU Mexico Gateway office. Anya Peterson Royce, Chancellor’s Professor of anthropology and comparative literature at IU, speaks at the inaugural workshop of the IU Mexico Gateway. With the “official” opening of an office already buzzing with activity, IU finally has the hub it has needed to strengthen its educational engagement with Mexico and its connection to a country and region of the world that will continue to have a major cultural and economic impact on the Hoosier communities we serve. 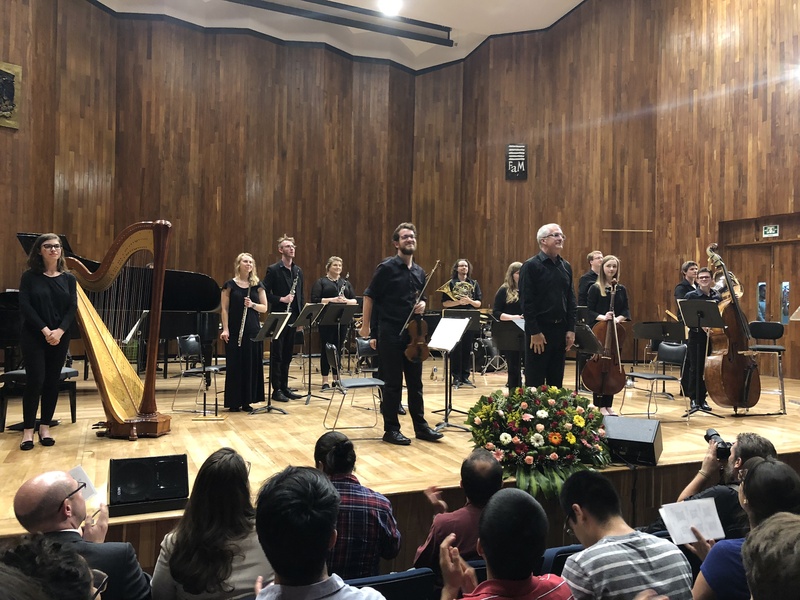 Please check back in Tuesday when we visit with the IU Jacobs School of Music’s New Music Ensemble and put a coda on a brief, but busy, IU trip to marvelous Mexico City! Bienvenido and welcome to the IU Goes to Mexico 2018 blog! One of the hallmarks of any great university is its ability to recognize, respond to and help understand changes in the economic and cultural makeup of the communities it serves. Recent years have seen a substantial growth in Indiana’s Latino population, which, according to IU’s own Public Policy Institute, represents the fastest-growing and youngest segment of the state’s total demographic. More than 429,000 Latinos live in Indiana, three-quarters of whom are of Mexican origin. This growth mirrors what has transpired all across the nation. Since 1960, the U.S. Latino population has increased nearly ninefold, from 6.3 million then to 56.5 million by 2015, and it is projected to grow to 107 million by 2065. Not surprisingly, Indiana’s ties to Mexico have expanded economically. Today, Mexico is the Hoosier state’s second-largest trading partner, and last year, we exported more than $5 billion in goods and products to Mexico. It’s against this backdrop that Indiana University President Michael A. McRobbie will lead, beginning tomorrow, a university delegation to Mexico City. While there, he will preside over the formal opening of a new global gateway office, which will provide the university with a physical presence in a major economic and cultural center in Latin America and a point of access to other countries within this dynamic and strategically important region of the world. 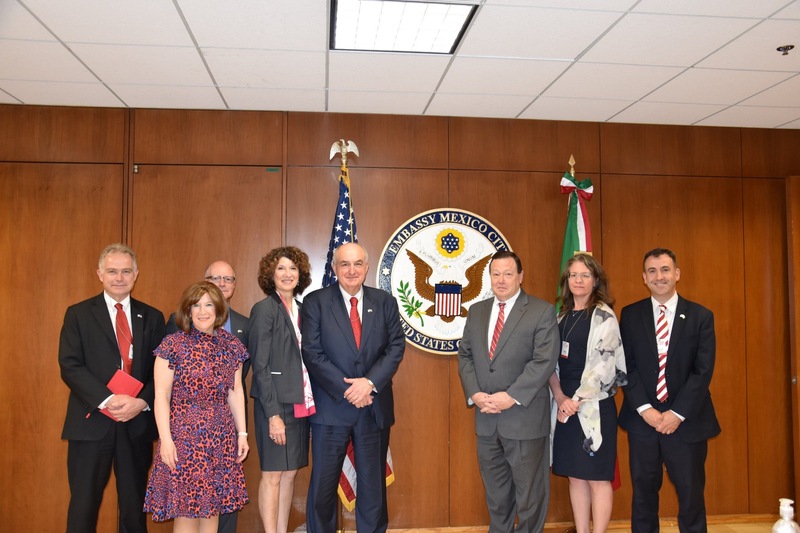 While in Mexico City, McRobbie, IU Vice President for International Affairs David Zaret and their fellow delegation members will also attend several inaugural events in celebration of the office opening. Those events include a workshop on indigenous languages and literatures featuring a number of distinguished scholars, poets and cultural leaders from Mexico and the U.S., and a concert by the New Music Ensemble from IU’s world-renowned Jacobs School of Music, a result of longstanding ties between Jacobs faculty members and the UNAM Faculty of Music. As part of the trip, delegation members will also meet with leaders in business, higher education, government and philanthropy to work on developing student and faculty exchanges, artistic and cultural programming, and other collaborative activities. Today, more than 350 IU students currently study abroad in Latin America, where IU’s successful overseas study programs originated. During that trip — the first by an IU president to Mexico since 1980 — IU also strengthened a nearly two-decades-long relationship with UNAM, one of only a few university campuses in the world designated as a UNESCO World Heritage site. IU’s relationship with UNAM dates back to 1999, when collaboration began between the university and the Ostrom Workshop in Political Theory and Policy Analysis at IU.The workshop was co-founded in 1973 by the late Nobel Prize-winning economist and IU Distinguished Professor Elinor Ostrom. In January, IUPUI Chancellor Nasser Paydar led a delegation of campus officials to Mexico that worked to strengthen connections with Mexican universities and research partners, with a special focus on collaboration in the health sciences, law and engineering and technology. The chancellor’s visit was supported by the IU Mexico Gateway. In March, IU hosted Dr. Roberto Salinas-León, president of the Mexico Business Forum. Dr. Salinas-León delivered the annual Patrick O’Meara International Lecture, during which he shared his insights about the future of North American partnership. And in April, the IU men’s soccer team hosted an exciting and evenly contested match against the Mexico U-20 National Team, an annual event that has become a highlight of the spring sports season in Bloomington. IU President Michael A. McRobbie, left, met in 2016 with Enrique Graue Wiechers, president of the National Autonomous University of Mexico. During the meeting, the two leaders agreed to explore further areas of collaboration between their respective institutions. The next several days promise to add to this growing list of connections, as IU formally establishes a hub for its extensive research, scholarly and educational activities in Mexico and Latin America and strengthens its linkages with Mexico’s leading educational and cultural institutions. As for me personally, I’ll have the pleasure of serving as your guide to our time in Mexico City, delivering daily summaries of the delegation’s activities and sharing some insights into IU’s increasing engagement in this important region of the world. Thanks for joining me for this journey, and I hope you will check in regularly for the latest photos, stories and updates. Please feel free to reach out to me directly with questions at rpiurek@iu.edu. Coming soon: the opening of the IU Mexico Gateway! 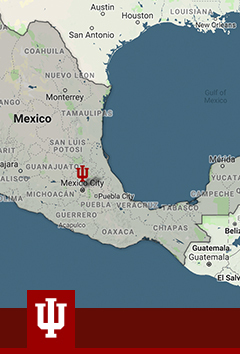 Welcome to the IU Goes to Mexico blog. Please visit this site regularly for stories and insights into Indiana University's trip to one of Latin America's largest, most dynamic and most culturally vibrant countries, one with increasingly important economic ties to Indiana. Here you will also find information about IU's extensive global resources, longstanding educational and cultural engagement efforts in Mexico, new international initiatives and continued expansion of the IU Global Gateway Network.